I received this radio as a gift from my mother from my Grandfather's estate. After repairing the Power Supply, and an open plate resistor in the audio output the radio works just fine. 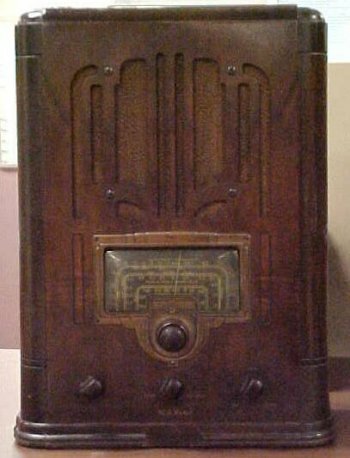 The radio receives both the AM broadcast band, along with the Short-wave Bands. The radio also could have a turntable attached to it. This model was first built in 1936. My Grandfather was at one time a radio repairman dating back to the nineteen thirties in Watonga Oklahoma before moving to Yakima, WA 1947. I quite often took my old Halicrafters S77 to him to repair when it failed. I dedicate this page to his memory, and to influence he had on my professional career. I, at one time, was a television repairman at RCA Service Company (A Division of RCA CORP). 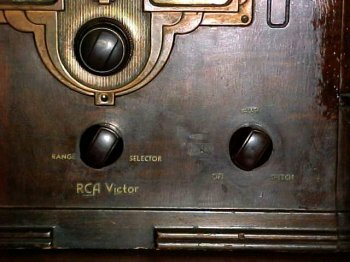 During that time I was able to return the favor to my Grandfather by repairing his RCA products when they needed repair or adjustment. He used to tell me stories regarding some of old radio customers, while I would tell him some of mine from the TV business. I found that one thing remains universal regardless how technology changes is people never change. 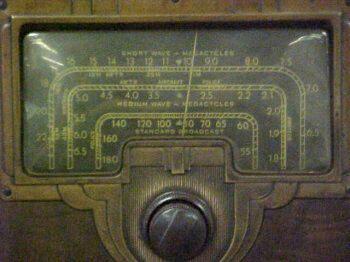 This old radio will remind me of two different chapters of my Life everytime I see it.